I received an email from a supporter the other day asking if I was alright. He had noticed that I had not published any new content in a while and was wondering if all was well with The ValleyScott Blog. I have to admit that I have been having a difficult time writing for the past few weeks. I have ideas, but I just can’t make them work. And, honestly, many of the ideas I have are fairly crappy. So I have not been publishing much, and nothing for almost three weeks. I do hope to change that this week. Over the past 11 months I have dedicated between 25 and 50 hours a week to this website, each and every week. I’ve published new material (on average) every 2 or 3 days. All told I;I’ve written 18,000 words for this blog. And that is only cutting the published work—I’ve written and deleted at least twice that amount! Over 150 posts, pages, reviews, etc. have been published in those months. And I do all this as a “labor of love”, since I don’t get paid for it. The ValleyScott Blog operates at a (small) financial loss to me. As such, sometimes I find it hard to write. Most of the time I’ve been able to work through it. A few times I had an extra post or two that were already ready. That bought me some time. But not lately. I ran out of extras. And there hasn’t been anything submitted by others that was worth publishing. So I’ve been silent for a while. I will also admit that I have been going through a number of personal troubles that have affected my ability to concentrate on writing. As most my regular readers will know, I lost my mother back in October. That grief has been harder to bear that I thought. I’ve also had to deal with a couple of other deaths, the health issues of my father, and some serious loneliness issues. So the past few weeks have not gone well for me. Many of my plans have been ruined my other people (some intentionally, some by unfortunate accidents). All of this has kept me off the keyboard. It’s my hope to get back to writing. A lot. I have a bunch of ideas that I think are good. I also have a fairly large backlog of your questions which need answering. And a couple of letters from readers that I think I should publish. 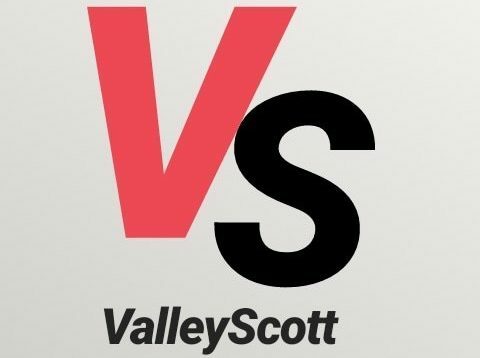 Plus, we are just 19 days away from the One Year Anniversary of The ValleyScott Blog! So I need to get some good stuff ready for that! It’s hard to believe I’ve been doing this blog for that long already. For those of you who have worried, I thank you for your concern. For those that haven’t noticed, oh well. But I do want to say thank you to al of my readers who continue to visit this site, ask questions, leave comments, and post links. You are all awesome to me. We are still averaging over 1,300 unique visitors each month. I am amazed that so many people take time to come to my little website and read my words. You make all of this worth it. Here are some ideas that you might be able to draw inspiration from, I know you’ve seen me post them to switter. Over head/ operating costs for providers. What makes a hobbyist a GREAT client? What makes a provider great? I see lots of newbs always ask how to avoid LE. So maybe outlining known tactics, major red flags to steer clear of for both providers and clients. Precautions that can be taken to minimize risks in case one dies walk into a trap. I don’t see how this could be breaking any current laws as you’re not promoting how to commit illegal activities. Talk about escorting licenses, costs of getting busted. What makes a good incall location? Things to avoid. Tips and tricks for getting around certain property hurdles like locked exterior doors 24/7 and no lobby for clients to be able to enter the building, key operated elevators, etc. Dangerous bad habits that many people do like propping open their hotel room door, not doing a 3 call system, having incriminating evidence in your room, not being fully dressed when the door opens, clients wait too long in their car in the parking lot etc. That is a great list of ideas. Thank you for the input, I truly appreciate it.